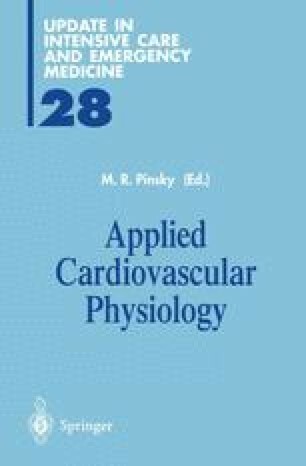 Monitoring of the circulation and metabolic status plays a central role in the management of critically ill patients. Mostly, monitoring is indicated in case of circulatory insufficiency, and consists of continuous or intermittent measurement of blood pressures and flows with help of arterial and central venous or pulmonary artery (PA) catheters, and of urinary flow via a bladder catheter. It has been doubted, however, whether the clinical benefits of insertion of a PA catheter, an invasive procedure not without risks, is outweighed by the detriments. This is mainly caused by the uncertainty whether hemodynamic variables are true indicators of the severity, course and outcome of the shock syndrome, whether some parameters are of greater significance than others, and whether treatment guided by presumed prognostically important variables indeed improves survival. Also, interpretation of PA catheter variables can be difficult, as, for instance, the filling pressures of the heart may hardly reflect end-diastolic volumes of the ventricles, which are more direct indicators of ventricular preload. Hence, non-invasive imaging techniques, such as nuclear angiography and echocardiography have been used to circumvent the complications of invasive procedures, and to estimate cardiac loading and contractility, in order to supplement invasive hemodynamic data in difficult to diagnose and to treat cases. Cardiac output can also be estimated by other non-invasive, mostly (semi)continuous means, some of which have been applied in the intensive care unit.